This Home shows like a Model with all the Upgrades you Dream About. Buyer can choose Olathe NW or Olathe West HS! Spacious 2 story, 5bd, 5 ba w/ Finished lower level. Beautiful Kitchen w/ Large Granite island and counter tops, large walk in pantry, Kitchen opens to the great room, surround sound, gorgeous fireplace w/ surrounding bookshelves, plantation shutters, huge bay windows. Master Suite with walk in shower, Hardwoods throughout main level. Professionally finished Lower Level, bar, and optional 6th bdrm. K10 to Cedar Creek Parkway. North to Canyon Creek Entrance. Right on 98th Street, Turn left on 98th and follow to Redbird. Turn Right on Redbird and home is on the left. 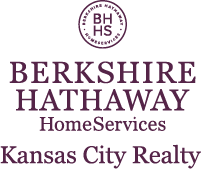 I am interested in 9811 Redbird Street, Lenexa, KS 66227.